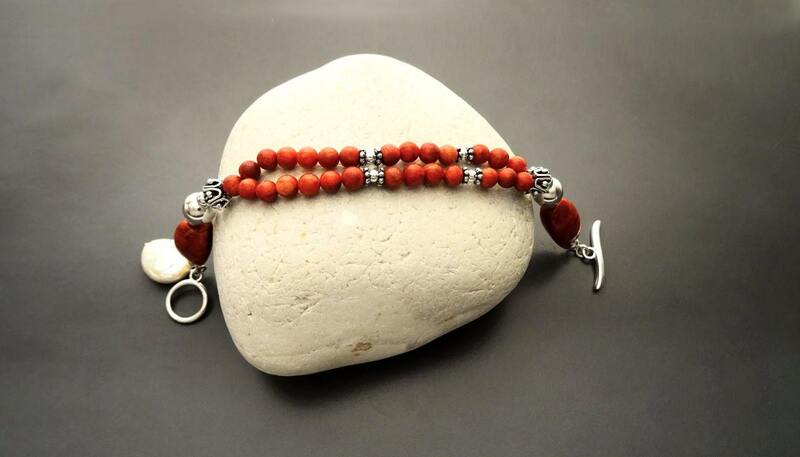 Red Gorgonian Bracelet - Sterling Silver - Pearl Bracelet - Ethnic Jewelry - Fashion Jewelry - Women Bracelet - Red Stone Jewelry - Design. 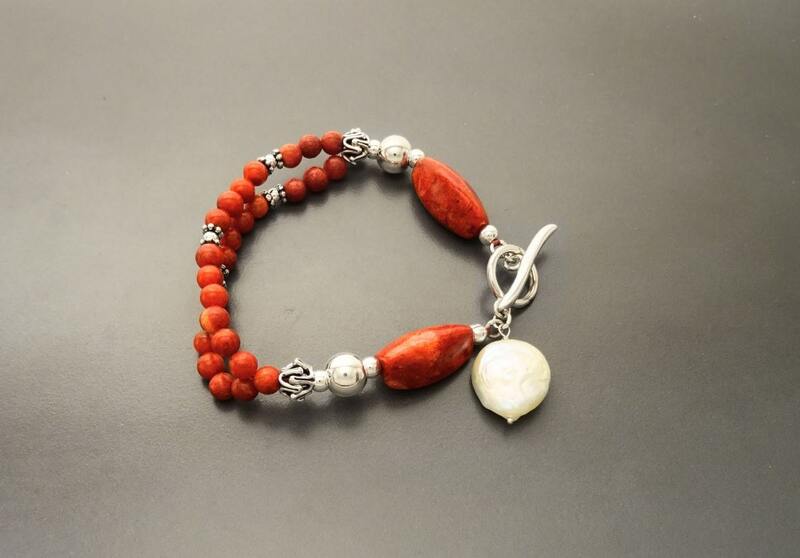 Elegant in design this Design Bracelet set with Red Synthetic Stone, Sterling Silver pearl and one Fresh water Pearl is absolutely Gorgeous. 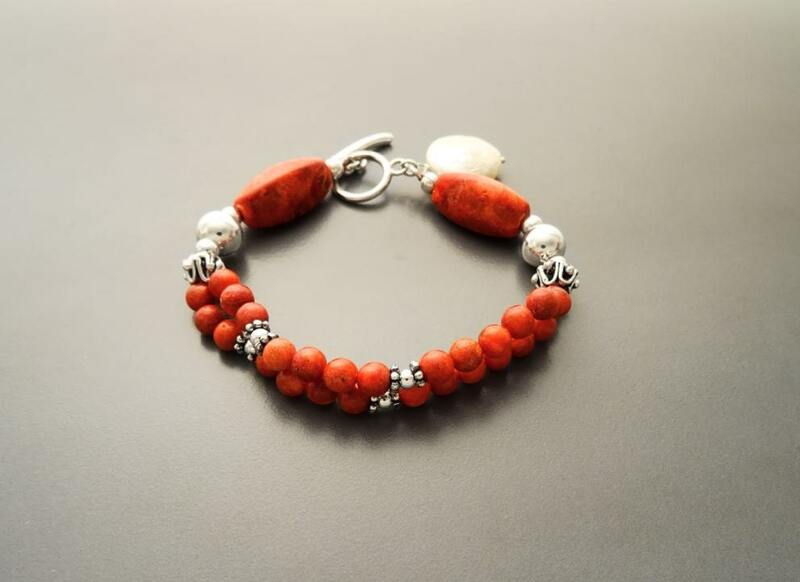 Average silver weight: 4 gr. Une réactivité impressionnante surtout pour un achat pendant les fêtes de noël. Un service rapide et soigné.